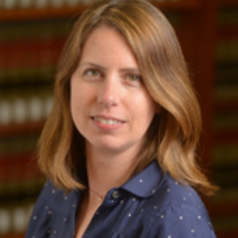 Cara Horowitz is the Co-Executive Director of the Emmett Institute on Climate Change and the Environment at UCLA School of Law. The Emmett Institute was founded as the first law school center in the nation focused on climate law and policy. Cara teaches at the law school and directs the work of the Emmett Center to advance innovative research, public policy debate, and legislative reform to address climate change and its effects. Cara’s areas of focus include California and federal climate policy and local sustainability. She has testified to the California legislature on climate policy and has been quoted in the Washington Post, the Daily Journal, the Los Angeles Times, and other media. She serves on the governing boards of local and national environmental organizations, including the Climate Law Institute, Climate Resolve, and the Green LA Coalition. Prior to joining UCLA, Cara worked in the non-profit sector as a staff attorney at the Natural Resources Defense Council, where she litigated high-profile cases and advocated domestically and internationally to preserve and protect oceans and wildlife. She has also worked at Caldwell, Leslie and Proctor, a litigation boutique, and served as law clerk to the Honorable Dorothy W. Nelson of the U.S. Court of Appeals for the Ninth Circuit. Horowitz is a 2001 graduate of the UCLA School of Law, where she was an articles editor of the UCLA Law Review and finished first in her class.